The Lenox Hill Neighborhood House is one of the most well respected and popular nonprofit organizations in New York City. Since 1894, they have been serving over 20,000 New Yorkers in need through various venues, from education to “Meals on Wheels” programs to helping the homeless. This admirable association affects every aspect of these individual’s and families’ lives and their annual spring gala is always a much anticipated event. 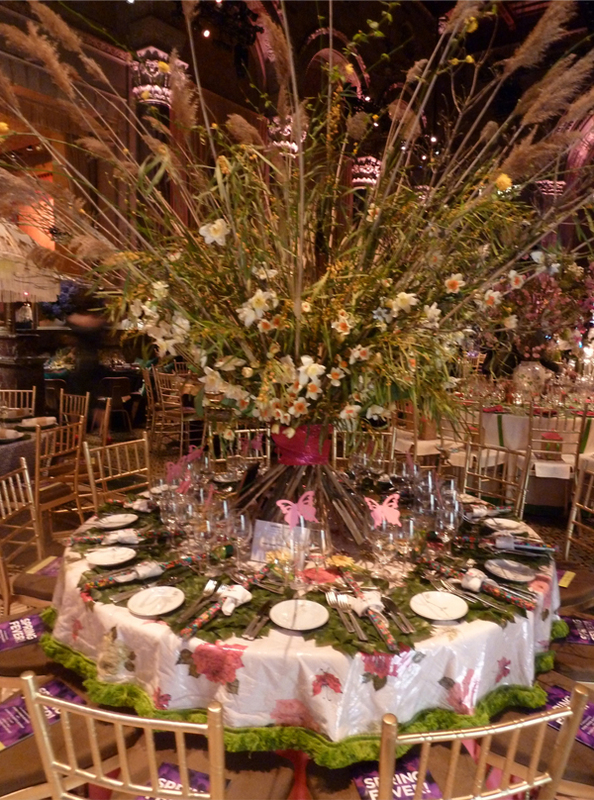 This year’s event, honoring Diana Ronan Quasha and Sydney Roberts Shuman for their longtime leadership and devotion, was again held at the dramatic Cipriani 42nd St, where design chairs Bunny Williams and John Rosselli hosted a who’s who of designers, creating spectacular “Spring Fever” themed tabletops for the occasion. 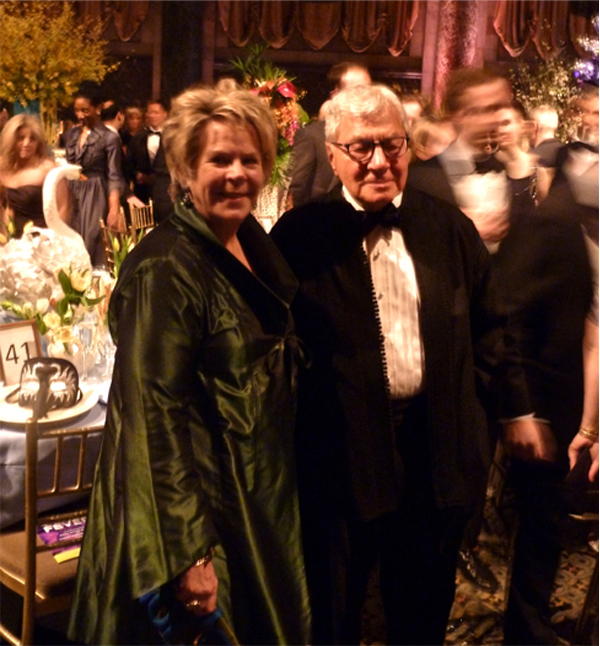 Sponsored by Rolex, with media partner New York Cottages & Gardens, the evening was a spectacular celebration. 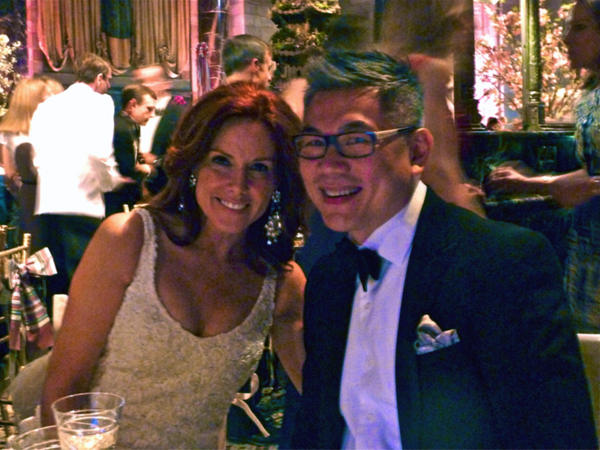 I was thrilled to attend and join designer Ally Coulter‘s elegant Ralph Lauren Home table for dinner (Coulter with tablemate William Li, senior vice president, Ralph Lauren Home). It was especially appropriate that the Newport, RI based designer channelled the new Rosecliff collection for her luxurious design. 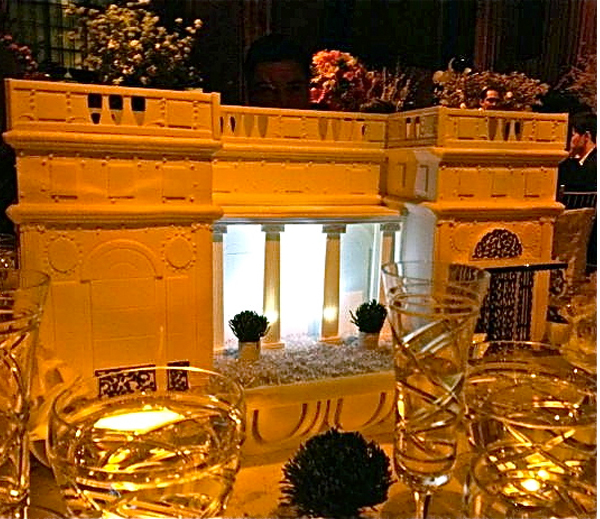 An amazing edible cake version of the McKim Mead and White mansion served as creative centerpiece. Based on the Grand Trianon at Versailles, Stanford White’s Gilded Age masterpiece is the inspiration for the Ralph Lauren collection. Deconstructed at the end of the meal, I can attest to not only the cake’s amazing architectural verisimilitude but its delicious interior as well! 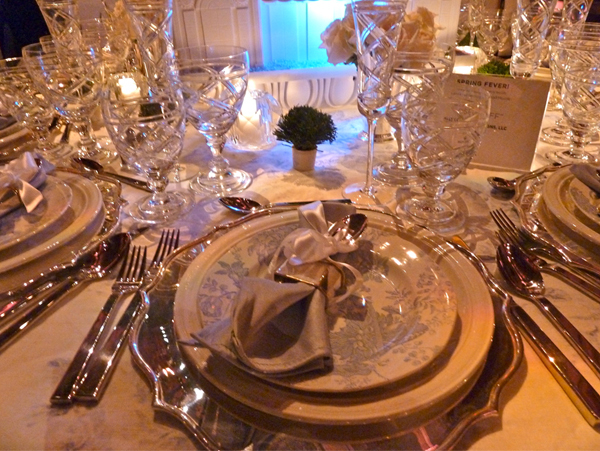 Coulter’s design featured my favorite Ralph Lauren Coleford Baroque chargers and her thoughtful and clever gift to her guests was a Varennes silver spoon, for those of us not born with one in our mouth! 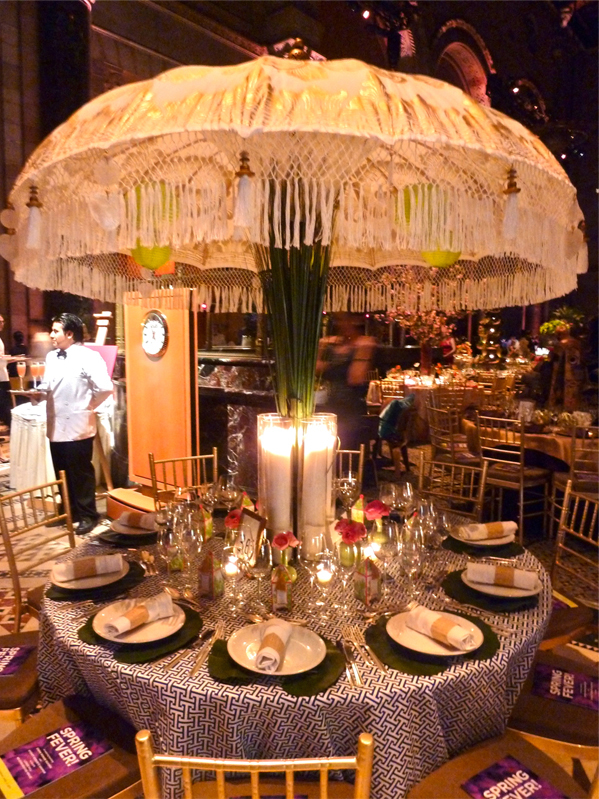 Her gorgeous umbrella and creative candle centerpiece was evocative of a romantic tropical hideaway. I love the mini Seda candles at each place – the packaging is perfectly in tune with the color scheme! 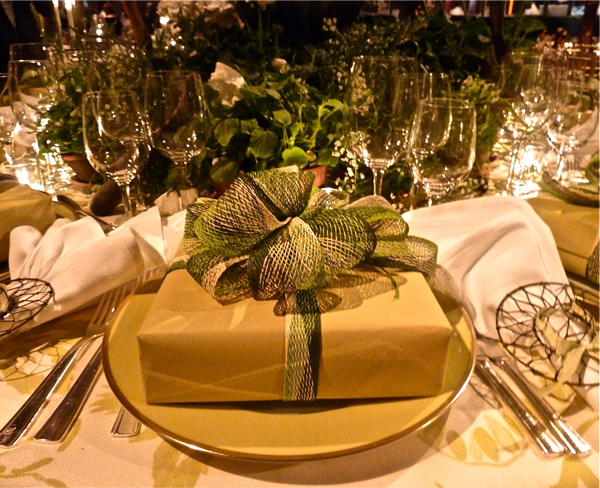 Their lucky guests received something wonderful I’m sure in these exquisite wrapped gifts! 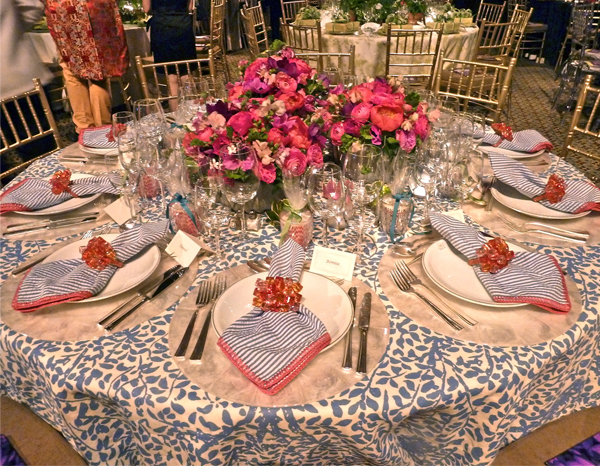 Elizabeth Bauer‘s fresh “Spring Awakening” design featured a graphic Quadrille tablecloth with lovely flowers by Matthew Robbins. The charming seersucker napkins as well as napkin rings and placemats are from Kim Seybert all added to the casually chic vibe. 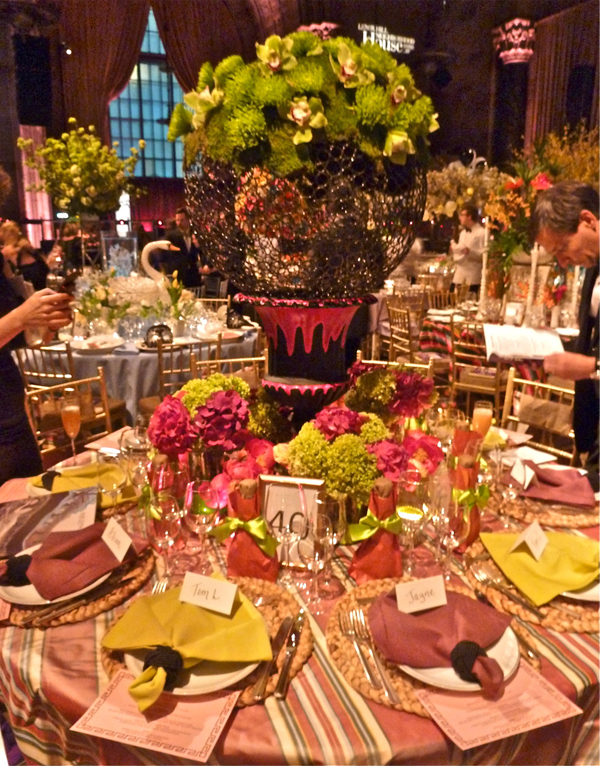 The muse of spring herself was represented at Nick Olsen‘s beautiful table. “The Cult of Persophone” was called forth through the gorgeous colors of the season. 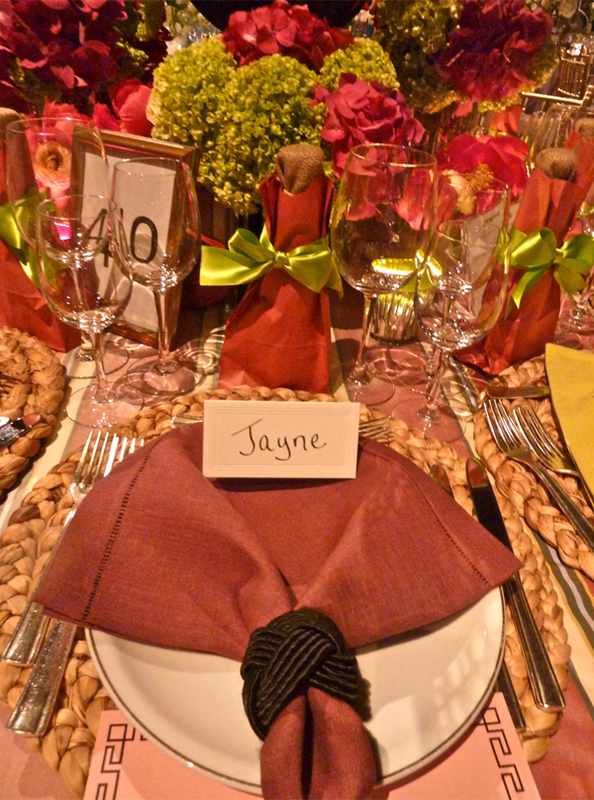 Layers of color and pattern are coordinated down to the graphic lines of the napkin ring and border on the menu. Look for Nick’s winning project in TradHome next week online. 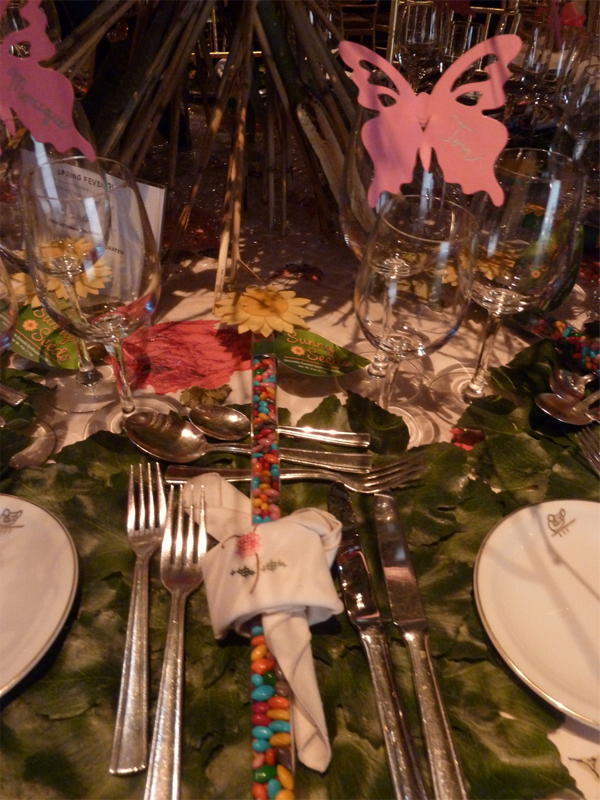 Do stop back as we’ll be visiting many more of the tantalizing tables from this extravagant event! This entry posted in auctions, design, entertainment, food and drink, interior design. 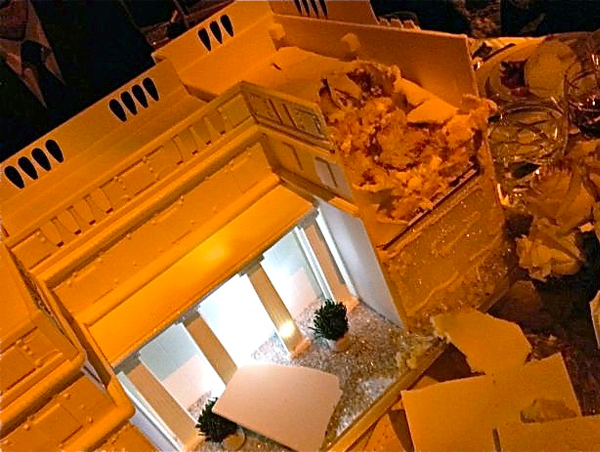 Entry Tags: interior design, Lenox Hill Neighborhood House Gala, Ralph Lauren Home, Rolex, Rosecliff Bookmark the permalink. Wow!!! You attend the best events. Wish I could have been there. Everything looks incredible! For half a second I thought Bunny was Candace Bergen! My goodness these are a feast for the eyes. You must have had a fabulous time. My favorite is Elizabeth Bauer’s light and lovely “Spring Awakening”, though they are all exquisite. What a fabulous event and everything looks so glamorous. I hope you had a wonderful time and raised lots of money! WOW! I am obsessed with the cake! Stanford White is one of my favorite architects of all times…even if he was Creepy McCreeperton in his personal life. 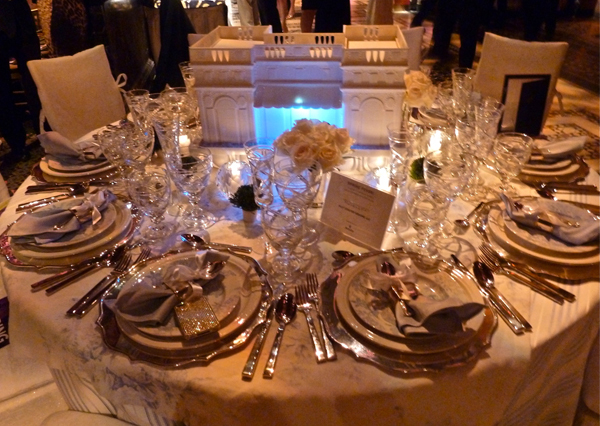 The tables are beautiful…thanks for sharing. Devon didn’t do a table this year, so thank you for the glorious pics. Stacey, this post is beautiful! 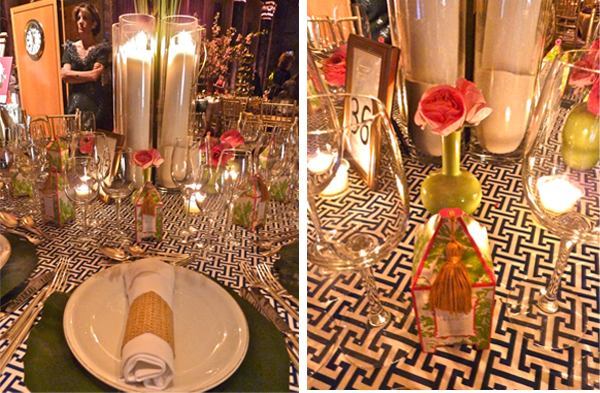 Loved seeing you on Wed and hank you for featuring my table! Just so glamorous and fun!!! 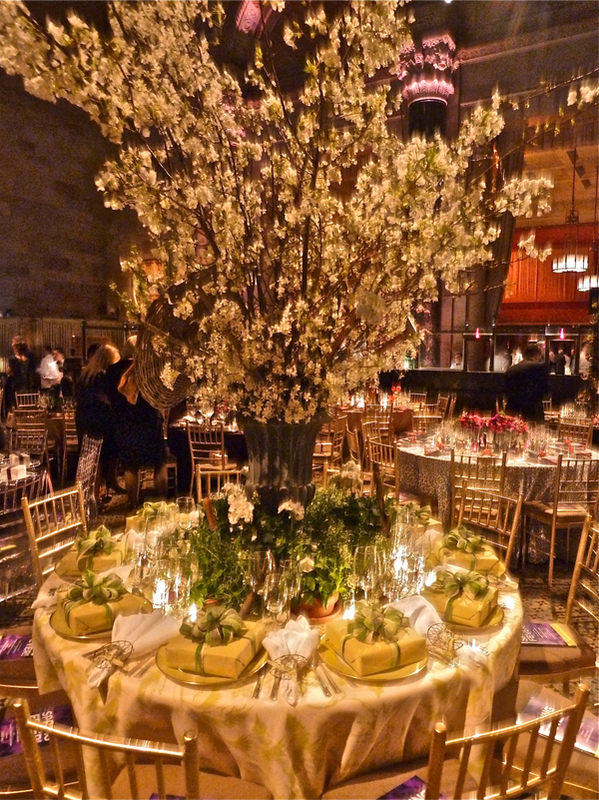 Gorgeous tables! The Elizabeth Bauer one is our favorite – love that seersucker and the bright tablecloth. And that looks like it was one amazing cake! What a night filled with beauty and talent! 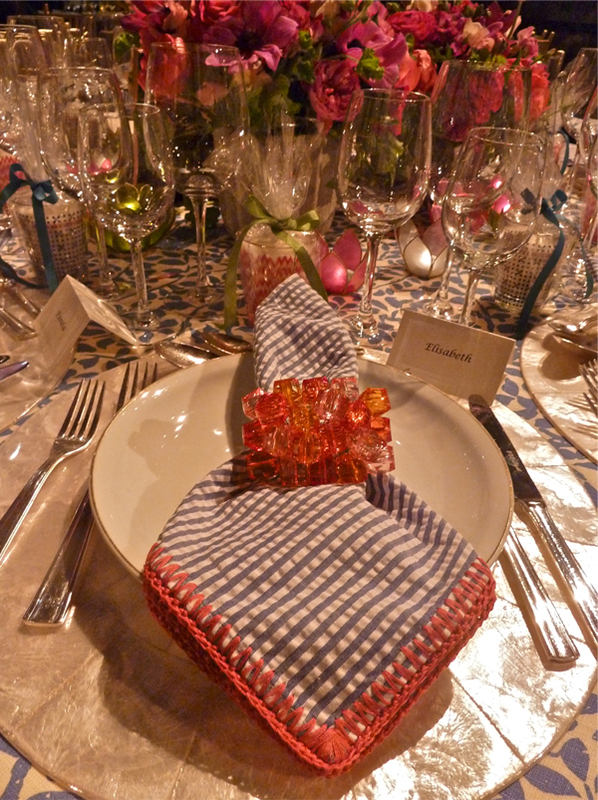 Harry never disappoints and what fun to be seated at the Ralph Lauren table. It must have been an evening to remember! I can’t choose just one, so I will just take my hat off to all involved. Such a worthwhile event.Thank you, Stacey, for sharing all of these talents. Beautiful pictures of the event. Sorry I was not able to attend, but glad to have bloggers like you to keep us updated. Looking forward to Blogfest2012. What a lovely event! I remember the one you went to last year. These tables are just stunning. And the event is such a worthwhile one, in addition to being very glamorous! Blown away by all these gorgeous tables!!! Fun to see my friend, Michael Devine’s heavenly work, though all of them are truly stunning. Speaking of looks….Ally is down right GORGEOUS!!! Love your “woman about town” updates! This was a goodie!! Dear Stacey, what an honor to be mentioned in your post – thanks so much! This is such an important event and so much fun to do! Stacey. Thank you for the kind words and beautiful pictures! What fun we had at my table! I enjoyed spending time and sharing laughter with you. Look forward to more times together. You must come to Newport this summer as my guest! What a beautiful blog too. Wow!!!! What a fabulous party, and what a fabulous life you lead! Didn’t Bunny look gorgeous?! 78 queries in 0.497 seconds.